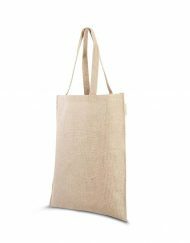 We supply promotional jute bags from the EcoJute brand, an environmentally friendly and sustainable alternative to plastic or cotton bags. These jute bags are an outstanding way of promoting your company! 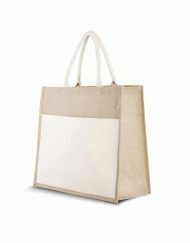 Naturally, the entire range of jute tote bags can be printed with your logo or slogan. 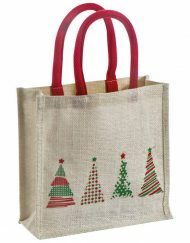 Jute bags have a large number of advantages in relation to plastic bags. Our bags are ecological and biodegradable in 1 to 2 years, making their environmental impact minimal. The bags are extremely strong and as a consequence more sustainable. The biggest advantage of jute bags is that they are often reused. If you would like to read more about the advantages we refer you to our page About Jute. We believe in making jute bags (burlap bags) an affordable alternative for everyone, everywhere. Whether you are a multi-national retailer or a small local business, you are guaranteed to find the bag you are looking for. 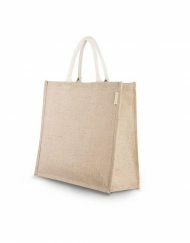 With large Cross European stock of over 45 styles of jute shopper bags and cotton juco bags held at all times, along with our bespoke bag service, finding your perfect bag couldn’t be simpler. Sedex & fairtrade certified factories and ethical trading allow us to produce ethically made bags without compromising on quality. Finding the perfect impulse purchase has become an essential part of sustaining sales throughout the year. 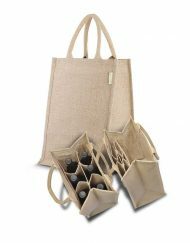 With Shinyo’s wide selection of wine bottle bags, bags for life, jute carriers, and juco shoppers, it’s easy to increase sales with minimal outlay. 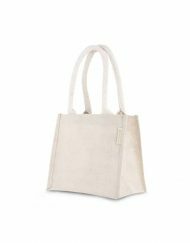 Whether you are looking for jute tote bags, jute beach bags, or backpacks, we can help! Not only this, we can custom manufacture whatever design you like. So if you have a special project in mind, or a twist on the classic jute bag, let us knowhereand receive a free quote within two hours. 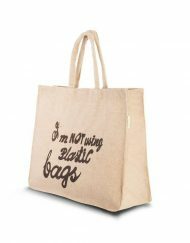 Customise your large jute shopping bags design! 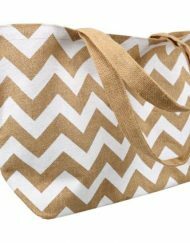 Once you have chosen the perfect style for your wholesale jute bags, you can benefit from our unmatched range of custom printing options. We offer more choice than any other UK manufacturer, with anything from standard screen print to luxurious Metallic and Puffy prints and even embroidery! However you want to present you logo or design, we can make it happen on your wholesale large jute bags. Jute is a plant fibre that can be spun into strong threads. Jute is one of the cheapest natural fibres and, alongside cotton, one of the most frequently used. The plants from which jute is obtained grow chiefly in warm, humid regions such as Bangladesh, China and India. In the time you need to read this, millions of plastic bags will be produced. And we haven’t even mentioned the amount of oil needed to do this. A study by the EPA (Environmental Protection Agency) in 2008 showed that only 6.8% of all plastic waste is recycled. But what happens to the other 93.2% ? Eighty per cent of floating waste in oceans and lakes is comprised of plastic, and this forms a major threat to aquatic wildlife. Many turtles mistake plastic bags for jellyfish and eat them. Birds and fish too ingest plastic particles or become (fatally) entangled in plastic bags. The waste doesn’t clear itself up: it takes around 1,000 years for polythene (plastic) to become fully biologically degraded. Various bodies have already stated that thin plastic bags should be banned immediately. Luckily, some governments now also recognise the seriousness of this problem. In China some 3 billion plastic bags were used every day, and the waste belts in China were beginning to look like white mountains due to all the discarded plastic. In response to this, the Chinese government took measures to prevent the use of plastic bags. Besides China, the governments of Australia, Bangladesh, Ireland, Kenya, Rwanda, South Africa, Taiwan, Uganda and several cities in the United States (including San Francisco) have also taken successful measures for reducing the use of plastic bags. • Jute bags are trendy and hip!